Click on the link below to order directly from the publisher, Xlibris. If you'd prefer an autographed copy please click on the "Autographed Books" link above. RECENTLY REPUBLISHED. During its first publication this book was very popular with paranormal fans and lovers of lovers in all time periods, so I'm very pleased that it now has a new publisher - Xlibris.com. This story takes place in Colonial America - Manhattan Island to be exact, and is based on real lovers who lived in that time period. 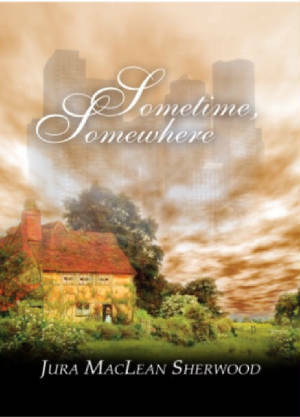 Sometime, Somewhere… Marianne Viele, an archeologist is researching the historic value of an old abandoned restaurant when she is startled by a New York City Police Officer. Pete Wolfson recognizes Mari as the woman who visits his dreams. “I absolutely loved reading Sometime, Somewhere! The book was constantly moving and instead of feeling too dramatic, the story line flowed flawlessly. Thank you for letting me read the book. I really feel it was one of the best books I’ve read in a very long time!” –Ann Marie C. Raymond, Reviewer for Keep It Coming. “This novel is a delightful paranormal based on the real life story of Marie du Trieux, 1617-1688. The author has done an admirable job of recreating the details of life at that time…I couldn’t help caring deeply about Mari and Pieter and hoping for their eventual happiness” – Edna Curry, In the Library Review. “Sometime, Somewhere is the story of love that knows no boundaries, not even time itself. Pieter and Mari were destined to be together no matter what the century. There’s an attraction they are powerless to resist and I was hoping they would somehow find a way to share their lives… Fans of time travel romance and love that spans the ages will not be disappointed.” – Alane Coppinger, Reviewer for Romance Junkies.